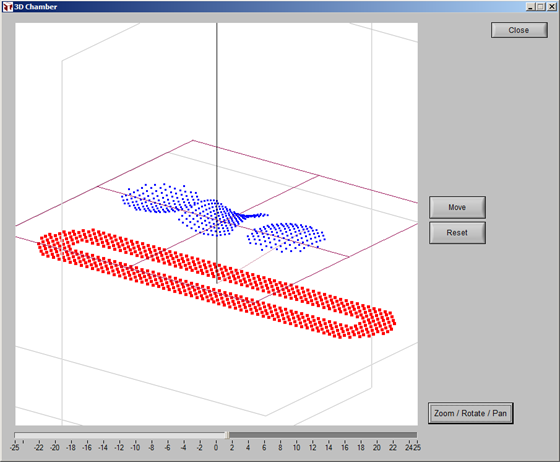 This example shows coating of non-flat objects that undergo a linear motion, relative to an elongated planer magnetron source. The source is a rectangle-shaped planar magnetron sputtering target. It is created through specifying a prototype given in the source sub-panel of V-Grade 5S. The objects to be coated are 1) a convex spherical surface; 2) a concave spherical surface; and 3) a saddle. The deposited thickness values on the three objects can be computed all at once. 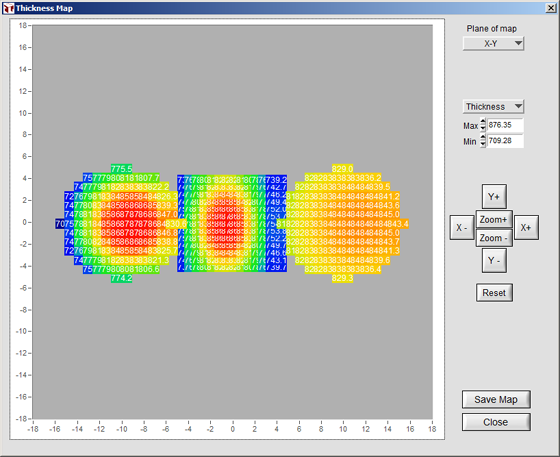 The resultant thickness distribution is shown in the V-Grade 5S thickness maps below. These maps display thickness values in false color and in thickness labels. 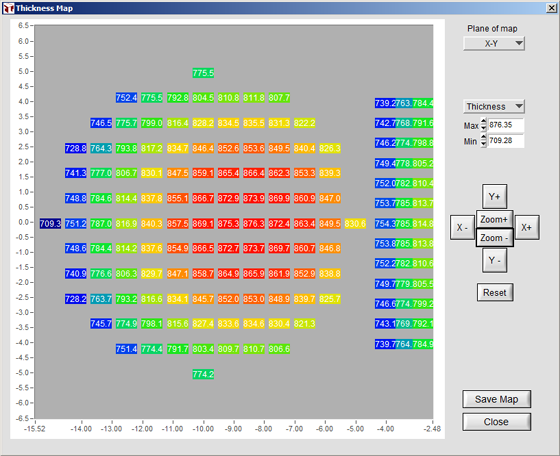 You can zoom in to view the thickness values of each and every sampled points.